The 3 C’s Class is an inviting group of men and women who are committed to the accurate study of the Word and its application to our daily rhythms of life. Each class is facilitator-led with lots of opportunity for discussion and participation. The 12 Stones Class is diverse a group of adults committed to the careful study of the Bible, verse-by-verse. Each class is filled with great biblical content and discussion concerning the Bible’s application in the home, society, and around the world. The All Ages/Stages Class is unique in that we are not only a family of God, but a family among ourselves. It is a group that is dedicated to the study of God's Word. We are a class of friendly, welcoming members. We study the Bible, verse-by-verse, each in its proper context as a whole. Class is participatory, and we seek to apply God’s Word into everyday life. We have a varied age range from college to young singles in their careers. 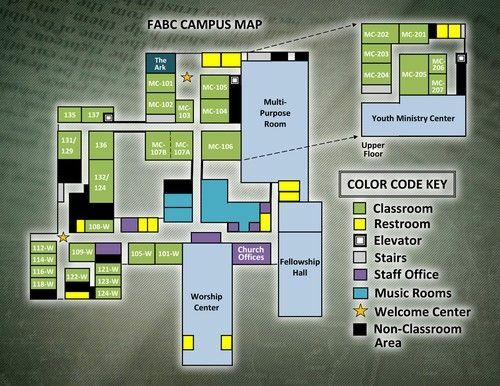 Many in our class are involved in other ministries of FABC. Bring your Bible, and join us in study and fellowship. The Crews Class is committed to studying the Word and to prayer. The class is designed to be participatory in nature. Members are given a teaching outline for further reflection at home. The Faithful Followers Class is founded upon the Word. Every encounter together is filled with joy, excitement, and blessing. Together, we study the Word, reach out to share the Word, and love one another in celebration of God’s goodness. Our class is unique. We are like family, caring for one another. We have lots of health problems, but are blessed by Jesus our Lord and Savior. The Friendly Men Class are truly seniors of the greatest generation, but we welcome all who come. We engage in timely bible study, and all of the class participates, using a lifetime of Christian Service. The Friends in Service class is composed of 20 single adults ages 60+ - 90+ who are committed to studying and applying the Bible accurately, prayer, fellowship, and celebrating life events together. The Gleaners / Joy Class is a group of ladies who study God’s Word and pray together. Our class, led by a former missionary, Evelyn Hill, has a heart for giving to missions and other special needs. The Open Door Class values the study of God's Word and love for people above all else. Our love and compassion for one another is evidenced by our prayer and fellowship time each Sunday morning and our outreach focuses. Plan A is a young adult (late 20s - early 40s) class that represents several young families of FABC and values the teaching of God's Word, discipleship, fellowship, missions, and helping one another in times of need. We demonstrate our faith by serving. Every member of the class is involved in some ministry in our Church. We use our gifts by ministering to others outside the Church. Our class is for Spanish-speaking ladies. We enjoy sharing praises and prayer requests, time in prayer, and time studying the Word. Friendly Avenue offers a class from which Burmese Karen adults can attend. Join us Sunday mornings for a great time of fellowship and Bible study. Middle and High School students can expect an experience that keeps them engaged and encourages additional, more in-depth study of God’s Word. Interested in Enrolling in Sunday School? 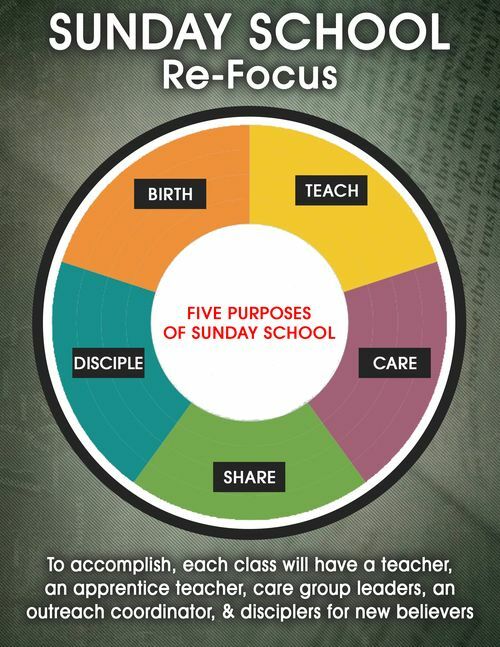 Which Sunday School Class are you interested in?